Director JoryH@BaMidbarTherapy.org Jory Hanselman has dedicated her personal and professional career to engaging youth and emerging adults in meaningful outdoor experiences, and helping youth build personal resiliency and the skills necessary to grow and thrive in a complex world. 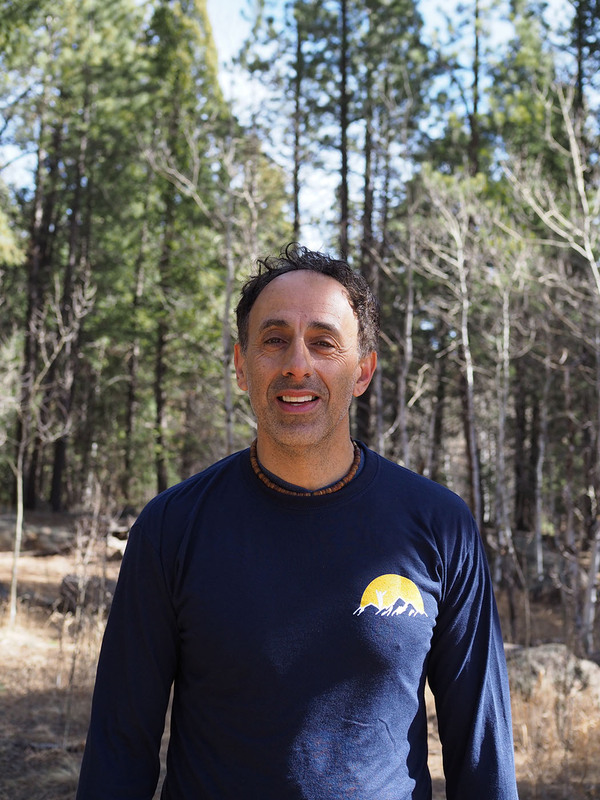 Jory has experienced wilderness programs from the client and staff perspective, from field and office formats, in Jewish and secular settings, and in the private industry and the nonprofit sectors. She has over 400 professional “field days” managing youth from 13-26 through organizations focused on education, recreation, therapy, and workforce development. Jory sees the wilderness therapy model as an extremely powerful environment and believes that BaMidbar Wilderness Therapy can help magnify that impact through Jewish learning, providing a foundational tapestry for clients that builds Jewish identity and provides the framework for youth to experience meaningful transitions to independent and healthy adult lives. 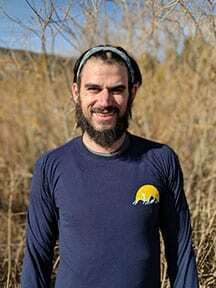 Jory holds a Bachelors of Science degree in Environmental Studies and Philosophy from Tufts University and is a Master of Public Administration degree candidate at University of Colorado – Denver’s School of Public Affairs. Clinical Director NickMH@BaMidbarTherapy.org Nick grew up on a small farm in Richmond, Rhode Island where he developed a love for adventures in the outdoors. While attending the University of Maine, Nick fell in love with the field of Outdoor Education. After completing his degree Nick heeded the advice of a mentor, and moved to Utah to work as a wilderness therapy guide. This ultimately led him to the University of New Hampshire where he earned masters degrees in both Social Work and Outdoor Education. During his graduate career and onward Nick continued to develop his passion for the outdoors and helping others. He has worked in a variety of roles in the field including field guide, facilitator, individual therapist, clinical supervisor, program manager, family therapist and consultant. 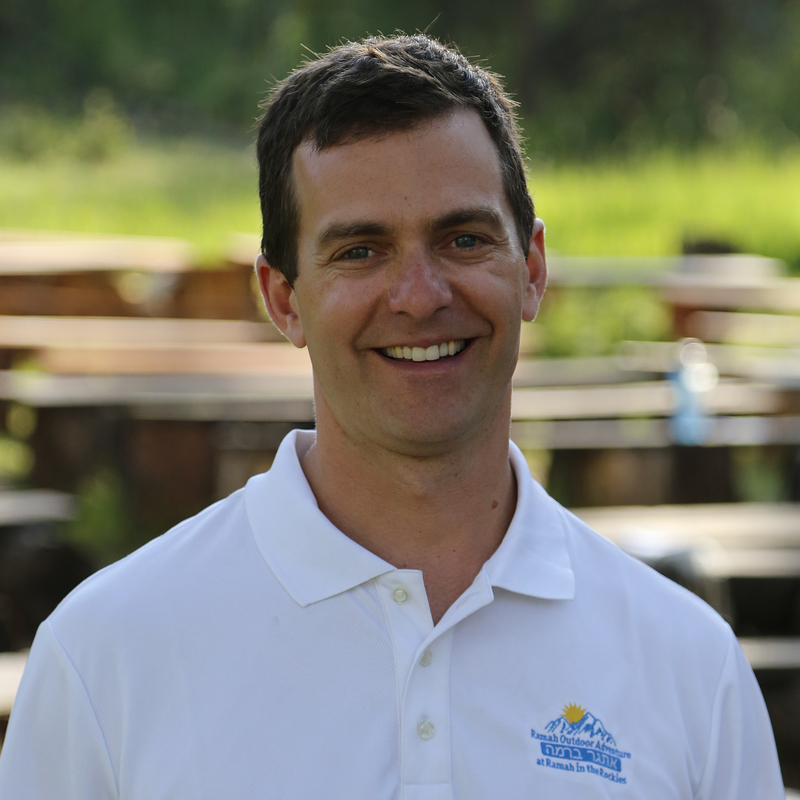 Nick is also on the leadership committee for the Therapeutic Adventure Professional Group where he regularly helps to organize workshops and conferences for other therapists using adventure therapy. During his career, Nick has worked with a diverse blend of adolescents and young adults who are trying to find their direction in life. Nick’s love for this work is rejuvenated during moments of connection, vulnerability, and break-through. Nick has joined the BaMidbar clinical team as a Primary Therapist and is looking forward to sharing his passion with staff and clients. When not in the wilderness helping others, Nick can be found backcountry skiing, climbing, hiking, training for triathlons, and enjoying family time with his wife and two children, Birch and River in Estes Park, CO.
Wilderness Specialist CliffS@BaMidbarTherapy.org Cliff has been working in wilderness therapy for over 20 years in many different capacities. Cliff was born and raised in Montana, where he was part of a family of outdoor enthusiasts. 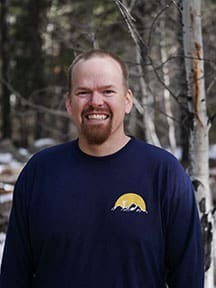 From his first 100 mile hike in the Bob Marshall Wilderness at the age of 9 to 14 years as a wilderness therapy program director, his whole life has been about using the outdoors as a place to grow, learn, and heal. Some highlights from his professional career include: Helping start a wilderness therapy program for the State of Montana, Aspen Youth Alternatives for adjudicated youth. Leading change of SUWS Idaho program from a 21 day contained model to a rolling enrollment, variable length of stay program. Writing a comprehensive curriculum to address those changes and provide flexibility to varied treatment plans. Co-developing wilderness therapy program for Community Connections in Alaska to work with local youth, majority first nations children. 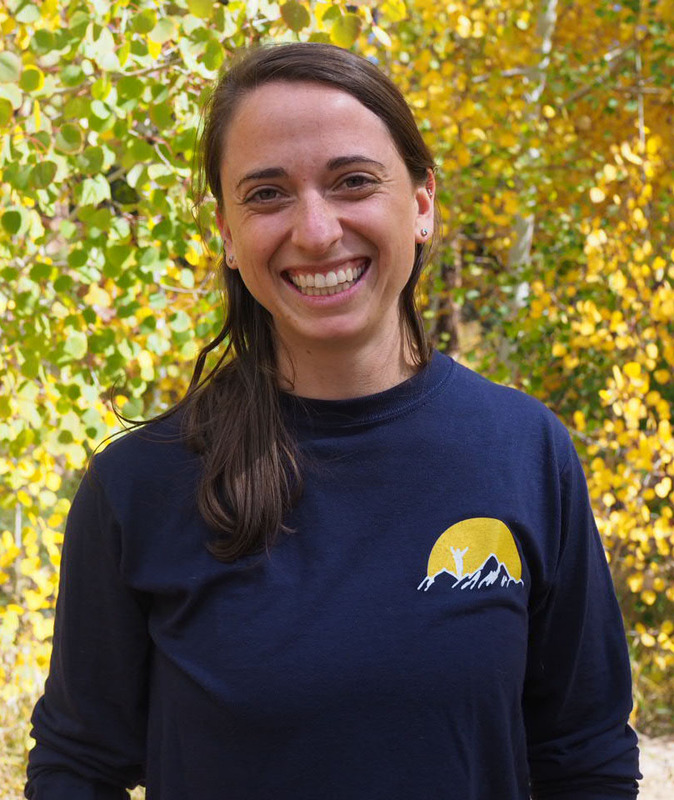 Jewish Engagement Coordinator Eliana comes to BaMidbar Wilderness Therapy after three summers at Ramah in the Rockies, two as a farm educator and one as a Rosh Edah (division head). 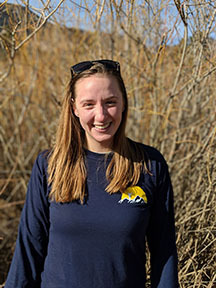 After graduating from UC-Santa Cruz with a BA in Environmental Studies, she has spent the past three years working in environmental education and traveling. Eliana spent the Spring of 2017 at the Pardes Institute of Jewish Studies, where she fell in love with Talmud and took every opportunity to sing and pray in community. Before beginning at Bamidbar she had the joy of teaching at Teva, where she learned many new plants and songs. 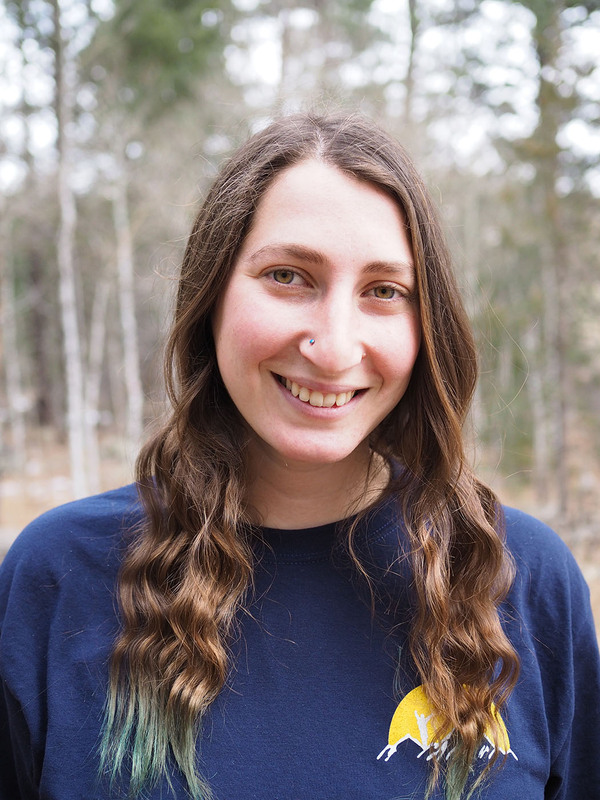 Eliana believes strongly in the power of wilderness and of Jewish tradition in the healing process, and is excited to bring the two together. She is particularly interested in how communities navigate the diverse spiritual needs of individuals to create unifying and meaningful prayer and ritual space. Eliana loves exploring the outdoors, birding, gardening, and singing. She is currently delving deeper into whittling spoons and studying at Hadar in NYC. Field Director Wyatt was introduced to natural places at an early age by his dad, whose stories of travel and outdoor pursuits inspired him to cultivate his own sense of adventure. Living in crowded cities in East Asia gave him a new perspective on the places we call wild and a new appreciation for the deep, cultural connection to nature that is inherent in the American Southwest, leading him to pursue work in the outdoors. Wyatt has been an outdoor educator and a conservation leader for the majority of his professional life. 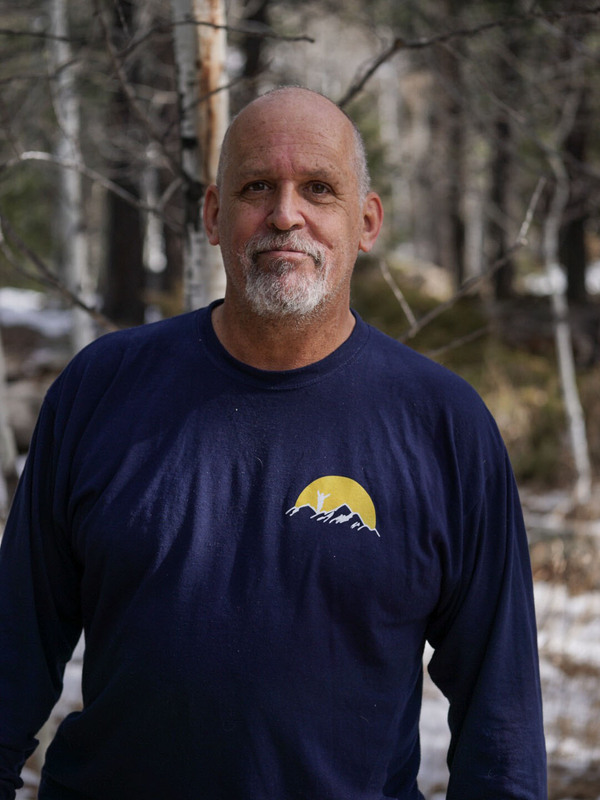 He drawn to BaMidbar Wilderness Therapy because he has both witnessed and experienced the healing power of nature. To have some small role in providing similar encounters to individuals in need is a worthwhile endeavor. Outside of work, Wyatt loves to ski, climb, and scuba dive, and is never far from his camera. Board games and tacos are his favorite things to share with friends. Field Director Emily grew up in Newton, MA surrounded by a strong Jewish community and nearby woods which played major roles in shaping her sense of self. She holds a bachelor’s degree in Anthropology with an academic concentration in Health Science from Gettysburg College and completed her master’s degree in Curriculum and Teaching at Boston University while working as a high school special education teacher. Her additional work in Gettysburg College’s Office of Experiential Education and with the campus’s Hillel has further fueled her desire in uniting her passions with the mission of BaMidbar Wilderness Therapy. Logistics Coordinator Gabi grew up in Phoenix, AZ where he attended Arizona State University and received his bachelor’s degree in Mathematics. 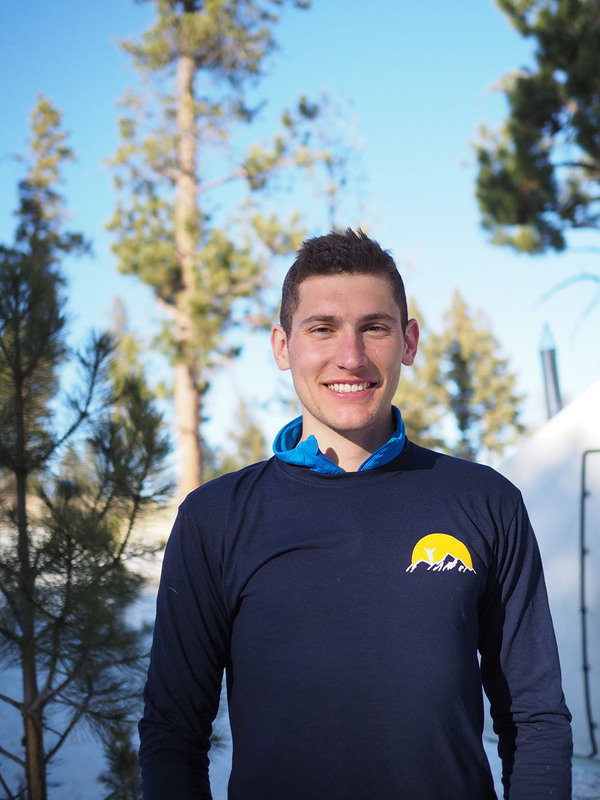 He worked for a year in data analytics before deciding to move to Breckenridge, CO to learn how to ski. After a year and a half, he moved to New York to study at Yeshivat Hadar, an egalitarian yeshiva in Manhattan, where he currently lives. Gabi is excited to explore ways of bringing Torah from the Beit Midrash into the experiential environment of BaMidbar Wilderness Therapy. Lead Field Guide Zack’s deep appreciation for the wilderness and its power to both heal and influence is based on his family experiences while growing up and spending time at their mountain cabin in Big Bear, Southern California. When he was eighteen, Zack attended a wilderness therapy program, which further deepened his appreciation for the outdoors. This program taught him much about his own identity and the surrounding world, leading him to share the growth he achieved with others who may be struggling as he did or who have their own obstacles to overcome. In his spare time, Zack loves making music, reading, learning, being with his family, mountain biking, exploring, travelling, and, most importantly, playing with his dog, Ash. Lead Field Guide Growing up in the “occasionally” overwhelming city of Las Vegas, Elie spent her early days escaping to Red Rock Conservation Area to seek refuge and independence. While her Las Vegas days are behind her, the theme of running to the natural world to find solace has remained constant. Elie graduated from Kenyon College with a degree in Anthropology and a concentration in Environmental Science. She has been working in the conservation and zero-waste world since graduating. Elie loves biking, skiing, swimming, fly fishing, and the sporadic game of Connect Four. 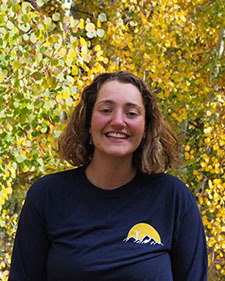 Elie can not wait to bring her passion for the great outdoors to BaMidbar and is looking forward to facilitating deep connections between people and physical spaces. Field Guide Jacob was first introduced to the transformational power of nature when he attended the TEVA Learning Center as a sixth grader. He returned time and again to Jewish outdoor institutions, working for Eden Village Camp, farming and building at the Pearlstone Center, and teaching and leading groups for 4 years at TEVA (now a program of Hazon). At these magical places, he became enthralled with the potential of framing and integrating Jewish ritual and text in an outdoor experiential setting, redoubling its power to heal and to invigorate. To these outdoor experiences, he adds a broad and deep study in Jewish text. He has learned at Yeshivat Yesodei HaTorah, the Northwoods Kollel, and Yeshivat Hadar, and holds a BA in Near Eastern & Judaic Studies from Brandeis University. His approach to Jewish teaching blends an academic perspective with a focus on the self and internal experience, drawing much inspiration from the Przysucha-Kotzk-Izhbica Hasidic tradition, the values-consequence approach of R’ Elisha Ancselovits, and from the Mussar movement. All of these, added to his own experiences with depression, motivate him to do this work. Field Guide Seth’s conscious outdoor life burst into existence in his latter years of high school. He came to the frightening conclusion that his “throw away” lifestyle was a means to no end. This spurred a drastic shift in his worldview, eventually leading him to Sterling College in Vermont. Here Seth received a BA in Outdoor Education, began guiding a variety of adventures, and dug his heels deep in primitive pursuits. For the past three years, he has been leading extended backcountry outings for Kroka Expeditions in New Hampshire. Seth loves mountain biking, tele-skiing, trail running, wordplay, making awful puns, dry firewood, and year-round plunges in alpine lakes. Field Guide Talia grew up in Rockland County, New York, a place aptly named for its abundance of rocks and ways to hike and climb them. Her interest and appreciation for the natural world was sparked by her Israeli-grown parents, who still cannot get over the amount of trees and wildlife that exist in their own backyard. She received a bachelors degree in Industrial and Labor Relations from Cornell University, where she found her place amongst the hippy-dippy souls of Outdoor Odyssey, the universities pre-orientation program. Since graduating in 2016 she has been building a home in Denver, Colorado, striving to find a balance between nesting in a community and adventuring in the outdoors. On her off shifts she can be found climbing rocks, petting dogs, and hosting potlucks. 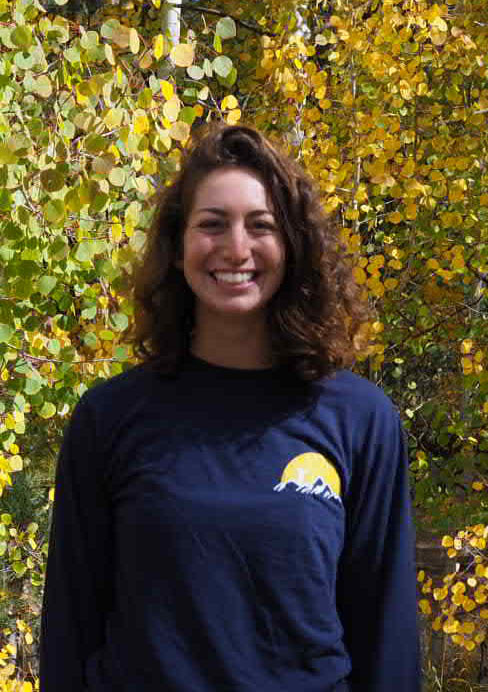 Executive Director – Ramah in the Rockies Eliav brings solid experience in outdoor camping and leadership to Ramah in the Rockies. A native of the Boston area and former Boy Scout, he has spent 11 summers working in other Ramah camps in a variety of specialty areas including five years as an outdoor adventure leader in Camp Ramah, Canada. 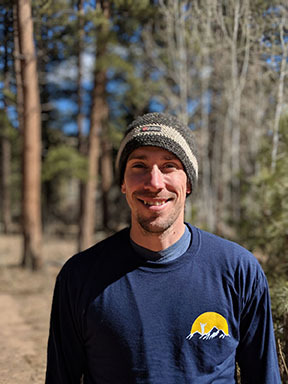 Ordained as rabbi by the Jewish Theological Seminary in 2009, Eliav is especially interested in helping youth connect to their Jewish souls through nature and the great outdoors. Prior to rabbinical school, Eliav worked in the finance industry in New York City. He holds a Bachelor of Arts degree in Bible and a Master of Arts degree in Jewish Education, as well as a Bachelor of Arts degree in Urban Studies from Columbia University. In 2013, Eliav was awarded the Pomegranate Prize by the Covenant Foundation which is given annually to five Jewish professionals who are making a significant impact on the field of Jewish education. Eliav was recently selected to be a part of the Schusterman Fellowship program for Jewish professionals and leaders. Eliav’s wife, Dina Danon, and sons, Matan and Yuval, love coming to camp with him each summer. 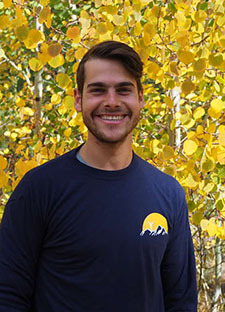 Chief Operating Officer MattL@BaMidbarTherapy.org Matt brings his passion and dedication to experiential Jewish education to Ramah in the Rockies. A native of Chicagoland, he participated in United Synagogue Youth’s College Leadership Program in Israel,Nativ. After studying in Israel, Matt attended Indiana University (Class 2011) where he double-majored in Jewish Studies and Near Eastern Languages and Cultures, and minored in Hebrew and Education. 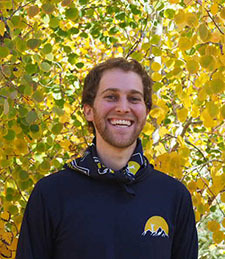 Matt has been part of the Ramah in the Rockies team since the beginning, working during the summer months as a rock climbing instructor, counselor, and logistics coordinator for camp until joining the the year-round team in 2012 as the Program Director and then as the organization’s Assistant Director until 2016. Matt took a brief break to return to graduate school at Oklahoma State University to complete an MBA and certificate in non-profit management. Upon earning his Master’s degree, Matt joined our team once again in a new role – that of Chief Development Officer. He lives with his wife, Sara, and their two dogs in Tulsa, Oklahoma. 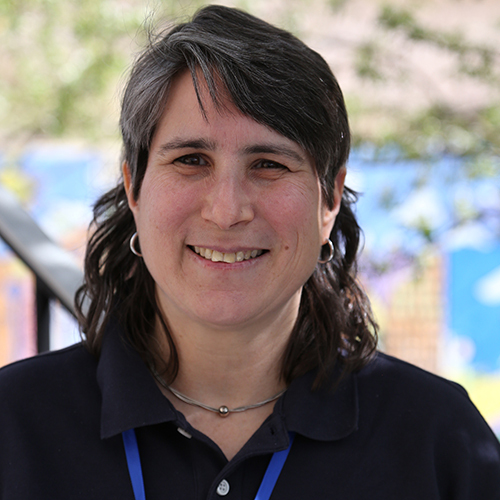 Office Manager – Ramah in the Rockies Originally from Cleveland and coming to Colorado via Korea, Italy, and Germany, Lisa brings an enthusiasm for building connections and a passion for service to others. She was a youth ambassador with the American Mishlachat Program to Israel. Over 20 years of volunteer experience with American Red Cross, La Leche League International, and Boy Scouts have led her to use her International Affairs degree and minor in Judaic Studies in ways she never imagined, including coordinating and conducting a campfire seder on Normandy Beach and serving as Jewish lay leader to service members overseas. Lisa and her husband, Ralph, are the proud parents of four Ramahniks. Ash is a rescue pup who found her forever home with Zack in August of 2017. She loves the mountains and a good bone. While she is shy around new people and new spaces, once she warms up she’s a sweetheart who will snuggle up close on those chilly nights. DovBer grew up in Houston, TX, where he learned to excel at finding discarded burritos. He found his home in Denver after Hurricane Harvey, when he was already 8 years old. DB loves to be pet by any humans and warms up slowly to other dogs. He spends a lot of time indoors, napping under tables, but loves coming up to the ranch to play and sniff new smells. Cliff and Marcia rescued Nola from the deserts of South Central Idaho. 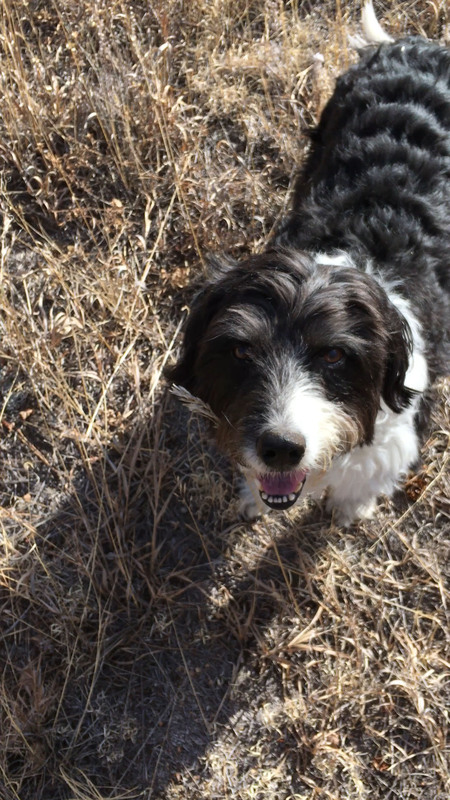 An Idaho “Fuzzy” or “Shaggy”, a local herding breed cross between Border Collie and Airedale terrier and others, she was found alone in the Bennet hills area and brought to a local Veterinarian. Nola (Gaelic for noble) had a little pink collar around her neck and was extremely frightened by everything, little children, loud noises, raised voices, etc. Lots of love and consistency have made her less anxious, but she still can be easily frightened. Nola has turned into an excellent, therapy dog. Always happy to see people, likes to be petted, doesn’t bark or bite. She is always up for an adventure and seems to be made for the snow and cold. At BaMidbar if you suddenly find Nola licking your face, you can be sure she is the vanguard for Cliff who will be along shortly. 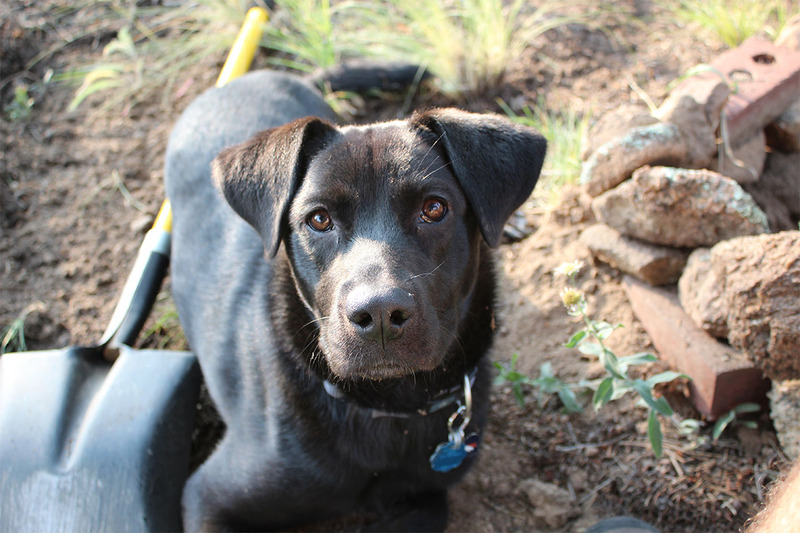 Dav (also known as Davers, Dav Dog, Davster, and Dave) was born in Tres Piedras, NM in May 2013. After being abandoned to the wilds, he was adopted by Jory Hanselman at 6 months old, where he frolicked in the forests of northern New Mexico with a 5-dog pack, before moving to Albuquerque to brave the big city life. Ripley (also known as Rippers) was born in Bernalillo County, in Spring 2013. After a hard start to life, Ripley was adopted at one and welcomed into a warm and loving home in Albuquerque, NM. 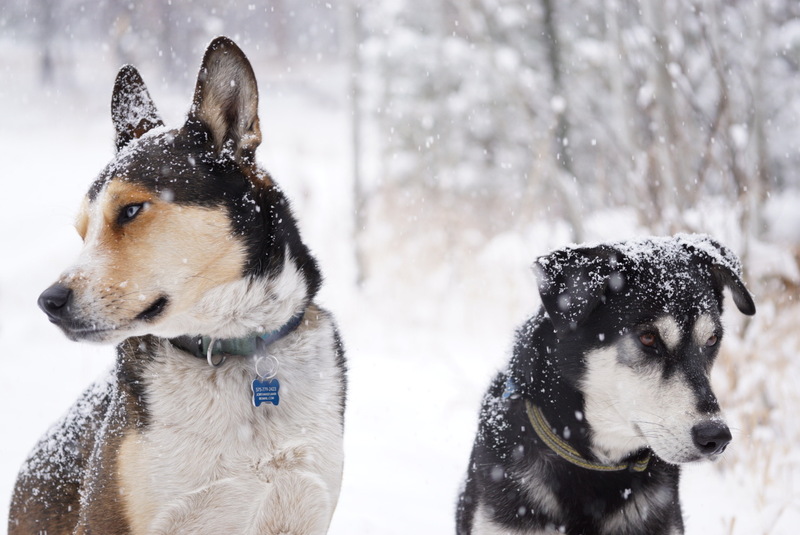 Dav and Ripley love catching birds, chasing elk and bighorn, jumping 8′ tall fences, and romping through their natural habitat, the wilderness. Dav can generally be found winning staring contests, inveigling his way into the hearts of dog lovers and haters alike, posing for pictures, and hanging with his favorite pal, Ripley. Ripley can generally be found rolling in poop and dead things, laying on her back begging for belly rubs, and hanging with her favorite pal, Dav. Malachi (Hebrew for my angle), Mally or Mr. Blue was born March 3rd, 2018. He is a purebred Irish Setter, growing puppy, and loves to play with plastic watering cans, hiking, going to the park and biting games. His favorite treats are milk bones, liver treats and rawhide. More often than not Mally is being chased out of the neighbors yard.